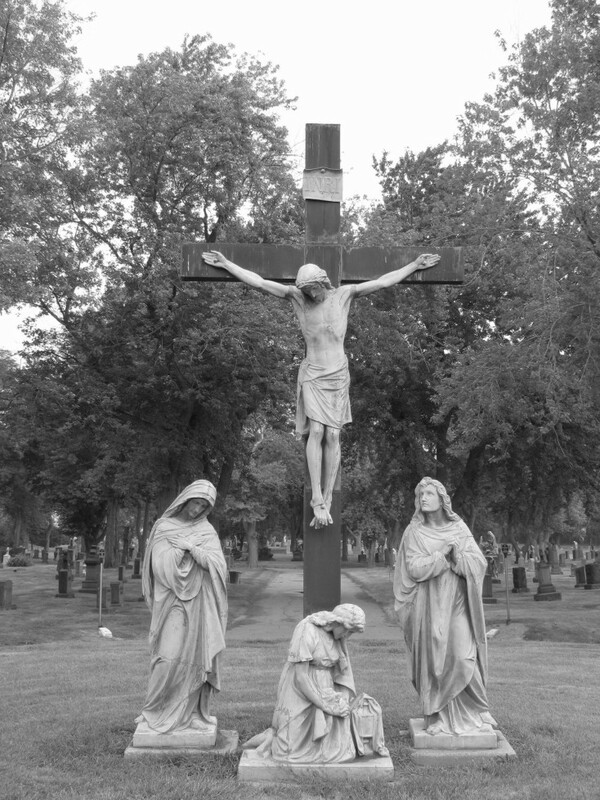 Holy Cross Cemetery is one of only three cemeteries owned by the Archdiocese of Detroit. The cemetery’s early history is a mystery, including what happened to the earliest burial records. Bits and pieces garnered from scattered documents and business records give us a timeline, but not a record of burials prior to 1867. The cemetery originally fell under the care and jurisdiction of neighboring parishes such as St. Alphonsus and Sacred Heart in Dearborn. In 1835, just two years after the Diocese of Detroit was established, Fr. Vincent Baden, a Redemptorist priest from Ste. Anne, blessed a mission in Dix Settlement that he named Holy Cross after Saint Croix in France. Records show that burials next to the mission began in 1838, if not sooner; however, the cemetery was not dedicated until 1840, making it one of the oldest, if not the oldest, Catholic cemeteries in Detroit still having burials. The earliest stone found in the cemetery belongs to Matilda Rupley, whose death in 1849 preceded her father John by three years. John, a hotel owner and politician from Springwells, lies a few feet from Matilda. Headstone transcriptions from 1849 to 1867 provide the only record of the early burials, although there are many buried without headstones. A standard form of recordkeeping for the cemetery began in 1867, for which there are two possible reasons. Funerary and mortuary practices changed dramatically after the Civil War. Men were taken home in droves to be buried. That single event in the 19th century changed cemetery recordkeeping nation-wide, directing it away from churches and to the cemetery. Secondly, and most probably, Bishop Lefevere succeeded in 1867 in having his status as sole owner of church properties in his diocese recognized and protected under Michigan law. The law passed in 1867 has governed the tenure of Church property in the Diocese to the present day. Bishop Lefevere insisted that all property bought for Church purposes be ceded to him-to be held in his name in trust for his successors. Land records as early as 1849 show land transactions to the Church, some for as little as $5. In 1849, Elija Chase and his wife sold a portion of their land to the bishop with the stipulation that the Church construct a chapel on the property within one year or else the land would revert to them. By 1851 a new chapel sat on cemetery grounds, replacing the old mission. After the turn of the century, the Church realized the need for a large Catholic cemetery on Detroit’s west side. Organizers began the task of establishing a committee and on March 23, 1906, the cemetery officially became incorporated. Bishop Foley held 2,390 shares of stock, and 11 working directors, who made all decisions regarding the cemetery, held ten shares each. Plans were laid out, contractors hired, and construction began to make Holy Cross the “largest and most beautiful Catholic cemetery in the nation,” or so they said at an early board meeting. Industry had different ideas. In December 1906, they contracted S. A. Brisbois to move the chapel 300 feet, a job he did for $80. To celebrate the rebirth of Holy Cross, the directors planned to reopen the chapel, long unused except for storage, for services. Preparations were completed, and a grand service was planned for All Souls’ Day. On October 7, 1906, less than a month before reopening, a pre-dawn fire engulfed the chapel, destroying priceless paintings, sculptures, and artifacts. 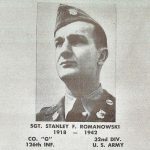 In Section T, opposite the chapel, there are several prominent individuals buried, including the original Gorno family of Gorno Ford, and Stanley Romanowski of the Romanowski Post. In addition, the Livernois family is buried at Holy Cross. To give a brief history of this family, in late November 1653, a boatload of settlers, among them 27-year-old Paul Benoist, an illiterate man but a master carpenter, arrived in Ville-Marie, Montreal. Benoist was from the once-formal province of Nivernais. Due to his illiteracy and the difficult French dialect, his name eventually became translated into Livernois. His tenth child, Francois, joined Antoine de Cadillac’s expedition and was among Detroit’s first settlers. Francois eventually returned to Quebec. Paul’s great-great-grandson, Etienne, came to Detroit and remained, establishing a line of American Livernoises, a name that, as we all know, is as synonymous with Detroit as Eight Mile Road. Also buried at Holy Cross is the Kramer family of the old Kramer Theater fame and the Czopek family of Czopek Funeral Home fame. Any Detroiter is familiar with the name Kronk. At Holy Cross, the Kronk monument is as prominent as the Kronk family in Detroit. John A. Kronk, born April 19, 1882, was the youngest of six children born to immigrants Martin and Hedwig (Czajka) Kronk. This family of six included Andrew, Jacob, Mary (Swantek), Agnes (Sokolowski), Ann (Oleszkowicz) and, of course, John. Mr. Kronk attended St. Casimir and St. Francis, as well as St. Mary’s Polish Seminary, graduating in 1898. In May of 1907, he married Catherine Rosalik, daughter of James and Sophia Rosalik of Detroit. They resided at 3531 Junction. They had six children: Anthony, Alphonse, Adam, Mary (Case), Leonard, and Cecilia (Braczyk). He prospered in business and in real estate, started an insurance business, and owned the Overseas Steamship Ticket Agency. He was the head of Kronk’s Four Percent Savings Bank. With his brother Andrew, he was also engaged in the wholesale and retail coal trade under the name of Andrew Kronk & Company. 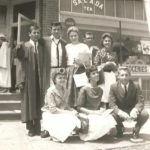 His brother Jacob graduated from the Detroit College of Law and managed Wayne County & Home Savings Bank on Junction. As of 2012, Jacob’s son, Stanley, is in his nineties. In 1919, John A. Kronk became one of the first Aldermen serving the City of Detroit (along with, among others, John Lodge and James Vernor). In his third term, he served under the new charter of the City of Detroit. He was chosen to be Chairman of the Board of Supervisors in 1920 and 1921, after which date he went on to serve as a City Councilman. He was elected to the City Council on April 5, 1937, and served for six more terms. 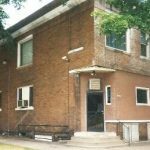 He further served on the draft board, was a member of the Knights of Columbus, belonged to the Benevolent Protective Order of Elks and to the Loyal Order of Moose, and served on the Detroit Board of Commerce. He died on February 13, 1954, while still serving on the City Council. John Kronk Street in Detroit was also named after him. 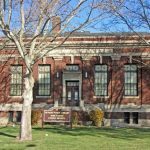 According to John Kronk’s nephew Stanley, Mr. Kronk was concerned about the lack of recreation or community facilities in Detroit; hence, what is now the legendary Kronk Community Center, built in 1921 on McGraw Street, came to be. It was opened shortly after World War I. There was full recreation, including swimming and tennis courts, but it was the Golden Gloves and the resulting prominent boxers who trained at Kronk’s which brought it worldwide recognition. The center rose to prominence in the early 1970s after a young boxer named Emmanuel Steward took on a part-time job as the head coach of the boxing program, leading it to a Detroit Golden Gloves championship title. Over the next three decades, under Steward’s guidance, the Kronk Gym produced 50 amateur boxing champions, 30 world champions, and three Olympic gold medals. Tommy “The Motor City Cobra” Hearns got his start at Kronk, going on to win titles in five weight classes. Most important, however, was what the gym meant to the thousands of neighborhood kids who passed through its doors during its 37 years of existence. For a teenager living in a rundown part of Detroit in the ’70s and ’80s, the discipline of boxing gave him an alternative to gang life-or worse. By the late ’90s, Kronk had stopped producing world champions. Although the original Kronk’s closed in 2006 due to budget cuts, it is reported that a second Kronk’s gym was established in Tucson, Arizona, in 1996, and there are other Kronk’s gyms in Dublin, Ireland, and London. Numerous priests are buried at Holy Cross, among them Rev. Joseph Janiga, a well known professor at Orchard Lake, who was born on November 4, 1919, and who died on May 11, 2012; Rev. John Bartkowiak, who was born in Poland on March 18, 1890, and who died on March 9, 1956, in Detroit; Rev. Alexander Wytrwal, also of Orchard Lake, who passed away on March 11, 2011, at 87 years of age; and many Redemptorist priests. Redemptorists (CONGREGATION OF THE MOST HOLY REDEEMER), is a society of missionary priests founded by St. Alphonsus Maria Liguori on November 9, 1732, at Scala, near Amalfi, Italy, for the purpose of laboring among the neglected country people in the neighborhood of Naples. The Redemptorists are essentially and by their specific vocation a missionary society. According to their rule they are “to strive to imitate the virtues and examples of Jesus Christ, Our Redeemer, consecrating themselves especially to the preaching of the word of God to the poor.” They take the simple vows of poverty, chastity, and obedience, and by the vows of poverty they are bound to refuse all ecclesiastical dignities outside of the congregation. The Redemptorists began their history in America in the Great Lakes Region. In 1828, Mgr. Résé, Vicar-General of Cincinnati, visited Europe in search of priests. While at Vienna he secured three priests and three lay brothers; they arrived in New York on June 20, 1832, and began working amongst the people of northern Michigan. 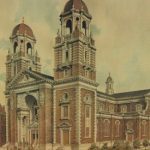 In 1839 they were called to Pittsburgh to assume charge of the German congregation and from that time the care of German congregations became a prominent element of the Redemptorists in North America. In 1846, the Redemptorist Priests established Old St. Mary’s Church, which was built for the Germans. One of the fathers stationed in Detroit from 1855 to 1859 was Rev. Francis X. Krutil, who could preach in eleven different languages and hear confessions in thirteen. 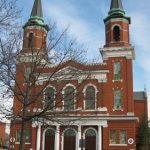 In 1879, Bishop Borgess provided the Redemptorists with the Springwells District, consisting of twelve square miles on our west side of Detroit, which would be the beginning of Holy Redeemer Parish. There were only 100 English-speaking families in this area at the time. The first Polish Redemptorist was Fr. John Podgorski. He was born on July 11, 1774, in Warsaw, and died in March 1847, in Krakow. His history is closely linked to St. Clement. The Polish people were highly suspect of the German priests, including the Redemptorist priests who came from Germany, but Rev. John Podgorski changed all that-he was able to preach in Polish and was highly admired. Among the Redemptorist priests buried at Holy Cross Cemetery is Fr. Joseph Dustin, known as the banjo-playing Redemptorist. He died in 1989 at the age of 73. He was known as the “MINSTREL OF THE CLOTH” with his “RED-HOT BANJO.” He found an old mandolin in a trash can and began playing it. His mother bought him his first banjo. He could not read music but played and wrote songs and recorded a lot of music. Fr. Dustin had an uncle, Father Joe Gunn, who was also a Redemptorist. Fr. Dustin’s legacy is not only his musical ability, influenced by his Vaudevillian family, but also his devotion to giving Missions on the subject of healing, especially in his later years. In addition to being a gifted musician, he was extremely outgoing and was a gifted speaker. 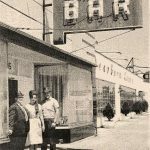 One of the most interesting individuals buried at Holy Cross is gangster August J. Nykiel, a bar owner and one of the most successful bootleggers in Detroit. He was born in Poland in 1896 and was shot in his bar on June 27, 1928. His headquarters was at 8824 W. Jefferson Ave. In addition to his bootlegging activities he financed and maintained a semi-professional football team, the Detroit Tigers. He was shot by two Mafia members who were attempting to extort money from him. One of his assassins was Mike DiPisa, who was shot by a River Rouge constable who just happened to be in the bar and saw the gunman attempting to flee. He was given one of the most elegant funerals in Detroit’s history. He has a flat grave marker in Section G but there’s a large cross-shaped Nykiel family monument near it. A popular movie was filmed at Holy Cross Cemetery. The Rosary Murders was released in 1987 and starred Donald Sutherland and Charles Durning.